Why are things being drawn wiggly? I'm sort of at a loss right now on trying to get my snake to not be so wiggly when it's drawn. You can see the red head of the snake is fine...and nice clean draw no matter which way it's heading. Press Z to add a segment and you'll see that each following segment is very wiggly when its draw, not clean at all...and I don't know why. I don't know if it's just the way it's gonna be or if I'm drawing things wrong or just doing my calculations wrong for where segments are positioned. Or a little bit of everything wrong. Any help, insight or suggestions are appreciated. Can you duplicate map sections and treat them as separate? I'm wanting to make a big play area in my game with several cities in it. I made a sprite map of the city (see below) and I want to draw that map in several places. This is working great using map() drawing several times but when you make a change to a map using mset(), it changes it in every location that map is drawn...and that makes sense. City A, City B, and City C all use the same sprite map but when I use mset() on City A, I don't want it to change B or C.
I'm probably complicating things way more than I need, but I thought using map() + mset() would be better/faster/efficient than managing an object and draw for each building in the city. In order to save on some tokens, I put configuration number values into a string and then parsed that string. I then tried to use one of the values as a table key and it barfed on me. Turns out, even though math functions recognize a string number as a number, using it as a table key will fail. You need to convert that string number into a integer for it work as a table key. My solution was to just add zero to number and it turned out okay. All in all, it makes sense but I had never come across this before somehow. But seems kind of weird that Lua will let you be lazy with numbers for math but not for other things. It's been a while since I've made a game so I'm running into questions I probably had answers previously...my apologies if this is a rerun. And then there could be several of these depending on which objects interact with each other. But I've also seen where you use one table for all objects and then check object types to see if they should interact. Is there any advantage to one of these methods over the other? Personally, having a table per object type makes it easier to stay organized but having a ton of loops going feels troublesome and can be hard to manage. Likewise, looping twice over a giant table sounds less ideal as well. So...just wondering. I'll probably keep coding how I always do because it works and keeps me sane, but was just thinking about the impact. I'm trying to get P8 to run in a window on my Linux Windows install on my Raspberry Pi, so I can have it and my editor up on the same desktop (like I do in real Windows). But by default, P8 runs fullscreen. I've tried launching it from terminal with the flags outlined in the docs and even by editing the config file, but none of that is working, it's still going fullscreen. Anyone else tried to run it windowed on Linux (RPi)? ..and got it working? Or is all that windowed stuff for "real" Windows only. And the problem is that when I loop through 'list' every value of 'x' is the last value added via the function, so in this example, 82. It's like it won't add unique properties to the local 'obj' variable when I create it from another table. I have to put the pull from the other table (pool) into its own variable, then populate the table I actually want to add to the list. I could swear that I've used the first version in the past and it has worked just fine...yes? No? I shouldn't have to do it that way. Creating local from a global and then adding to that local should work just fine using dot notation and so on. It's bizarre. And maybe I'm just all sorts of wrong, in which case, why doesn't example #1 work like I expect? I'm looking for some help or snippet on how to create a path for an object that gives an arc between 2 coordinates. I have code/examples for waves and orbiting in a circle, but I haven't needed to make an arc between 2 explicit points before. I'm not making an Angry Birds game but need that type of physics arc created that then allows a object to follow that path. Ideally, something that lets you increase the gravity/friction/whatever that will slow the object down the further it gets away from the source point. Although...I guess I could just trial-n-error it from the source point, messing with the variables until the thing lands where I need it. But having a 2-point method would probably be more helpful in the long run (for everyone). Even if you have a cart that has something similar, I'm happy to code surf for things and learn. Is there a where to run Pico-8 from the commandline so that it can compile/export without having to run the actual game? I'm looking for a way to create the HTML export without having Pico-8 running. I'm often on a computer where I can't install P8 but can code with a cloud IDE. Of course, that's just blind coding without any running or debugging. So was thinking if I can could install Pico-8 on my web server (which I can ssh into) and run a command that will tell P8 to export the web version, then I might be able to do some debugging and testing. I see there's a headless mode now available but not sure that would allow this type of workaround. That sounds like a normal "run and quit" type of thing. It goes without saying that you should always publish and share your PICO-8 games here on the the official site. 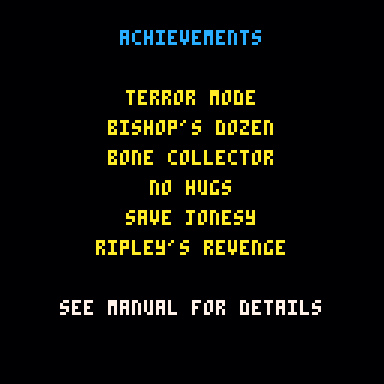 Not only will you get great feedback, your game will appear in the Splore menu of PICO-8. So it's a no-brainer for any game you make. But where else should you publish? When I made my first PICO-8 games, I wasn't sure where to put my games. I saw a few others use Itch.io so I did the same...and that's where my game publishing journey started. Itch.io is a great platform on which to publish games (PICO-8 or otherwise). The site is nicely designed so it's easy for visitors to come and play. They also let you customize your game page so it's easy to add your own graphics and styles to help promote your game. I create a rather generic template for my games but also made a "fancy" one to promote Alien Harvest...check it out. Itch.io also offers decent analytics and tracking for your games. You can easily see views, downloads and other stats. One nice feature is that the site allows you to offer the web player version of your PICO-8 game but you can also put up other files for download (for free or purchase). So you can also add your binary game exports to your page. The site is setup to be a one-stop for game publishing. You can also setup a pay-what-you-want style action for your games. So while you might not be able to charge out-right for your game, you can ask for a "donation" and maybe get some beer money...bonus! If there's anywhere Itch.io seems to lack behind some of the others is in exposure and discoverability. Itch.io is host to thousands upon thousands of games, so you're a small fish in a very big sea. Sure, you should promote your game through every channel you care and drive them to Itch.io but I wouldn't rely on Itch.io to give you the exposure you hoping for. When I released a new game, stats were high for about 48-hours and then died drastically. Feedback and comments from players also seems to be sparse. Newgrounds was one I hadn't heard of until recently when someone suggested it on Twitter. I checked it out and found that the web site is far from great to use. It's not difficult, per se, it's just ugly and the experience overall isn't that great. It feels very dated. Newgrounds seems focused on web playable games, so you won't find the download competition like you have on Itch.io...but Newgrounds is also host to non-game creations as well, such as movies, music and art. They seem to do a nice job of separating and organizing. The game manager for admins isn't bad either. Itch.io's is nicer and has more features but Newgrounds is still easy to use. You can't customize your page template or anything, so you'll need to get creative with your promotional text. Newgrounds limits you to 2 game uploads per day, which probably won't be an issue unless you're uploading your back catalog of PICO-8 games like I was and had to spread them out over a couple days...just something to keep in mind. They also don't offer any way for people to pay for your games, but they do offer revenue sharing so you'll get a cut of ads on your game pages. Kinda nice but not sure how much it will yield...probably need a VERY popular game to warrant anything. Where Newgrounds seems to excel is in good exposure and feedback. After just a few days with my game up on Newgrounds, it has several thousand views and some great feedback from players...far more comments that I ever got on Itch.io, and that's with zero promotion on my side. Newgrounds' base seems to be more active in playing new games which is great. It's hard to say what the longtail is...I haven't had games up for long. To be honest, I can't really say anything about Kongregate because I haven't upload any games there. I find their site a pain to look at and use, and that was enough for me to not use it. If a site isn't easy for me to use then I'm not going to ask others to go there. 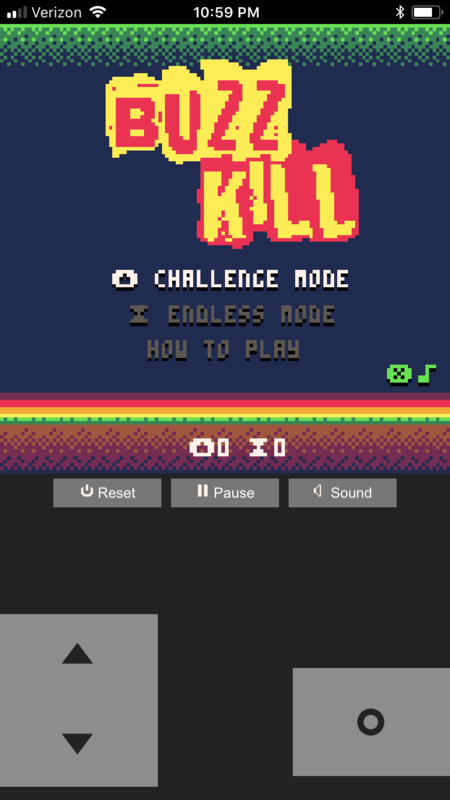 I do know that Kongregate offers an API so that you can tap into their system for high scores, achievements and other things, which is a really nice feature, but I haven't tried them with a PICO-8 game yet. If you have experience using Kongregate, please share your story. Where else do you post your games? As I've learned about game publishing sites, I've found it a real pain to keep up with them. I know it's too much of an ideal to just pick one and go with it...at least if you want as many people as possible to play. But making the rounds to each when I make game updates or changes is exhausting. I'm still trying to come up with a nice system that feels efficient...I'm close but not close enough to not make it feel like a chore. Please share your own game publishing experiences in this thread so we can build up a good resource for folks looking to get their games in front of people. Has anyone successfully changed the app icon for Windows binary exports? I tried those flags as documented but it doesn't seem to change. Even without trying to use something from the spritesheet, the icon doesn't use the label or anything - it's just the Pico-8 logo. Playing games on your phone as a web app, it works! After several days of trial-and-error and testing with help of Twitter friends, it seems playing Pico-8 games on your smartphone is very do-able and comfortable, with only minor trade-offs. I've put 3 of my games up for mobile play. Please give them a try on your phone and see what you think. NOTE: You need to visit these links on your phone. Visiting them on your desktop will just load the game as normal. I used this template from Dennis Treder as a starting point for the actual web controls that interact with Pico-8. I then customized it a bit to add more control layouts and make it into a "web app" of sorts for phones. On phones you can choose to have a web page behave as a "standalone" app, which basically means it runs in the web browser but hides the back button and all that type of stuff...so it looks like a native app. I'm still cleaning up my modified code but once I have it nice, I'll share it as well. 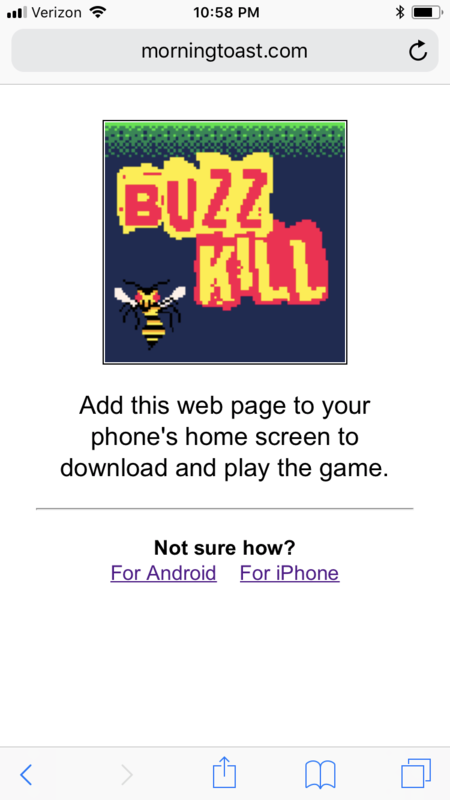 When you visit any of those game links on your phone, you should see a landing page asking you to add the link to your home screen. When you do that, you'll get an icon on your phone. Launch the game from that icon and the Pico-8 should boot and you can play. I know it works on iPhones well. Android seems to vary a bit but should be good. Based on feedback from Twitter testers, the games should work on iPhone and Android phones. They'll probably need to be somewhat modern phones with latest browsers. The one thing that is known to be wishy washy is the sound. On iPhone Safari, there is no sound at all. On Android Chrome, sound seems to be choppy at best. So your mileage may vary when it comes to sound performance but the game itself should be pretty playable. Not ideal but closer than I've ever seen. The on-screen controls are pretty ugly but honestly, they work really well with zero lag (that I've seen). One cool thing about that template is it allows for alternate layouts during the game. You'll notice in the games I've posted that you'll get different layouts depending on what part of the game you're in. Pretty spiffy. This isn't a perfect method of playing Pico-8 games on phones but it's the closest I've ever seen and the closest that I feel okay putting my games out there and asking people to play. Lack of sound is a bummer but I'll take that hit to make my game easily accessible on a phone. I'm also hoping that near-future updates to Pico-8 and browsers will solve the sound problem for us. I don't have the resources to get Pico-8 games ported over to native apps for phones so they appear in the App Store or whatever. Having a web app work like a native app is the closest I'll probably get...if nothing else, it's a great way to test to see if making your game a true App is worth it. Please give the games linked above and try them on your phone. Post here about your experience or hit me up on Twitter @morningtoast and share your report. Creating web-based controls for Pico-8 games is not a new topic but after just finding a great template, I jumped back into the fray with the idea and need some help testing. Please visit this link ON YOUR PHONE and see what works. It's my Invader Overload game from last year. When you land, you should see a page asking you to add it to your phone's home screen. Once you do, you can launch from the icon and it should be a web player with big red buttons for controls. 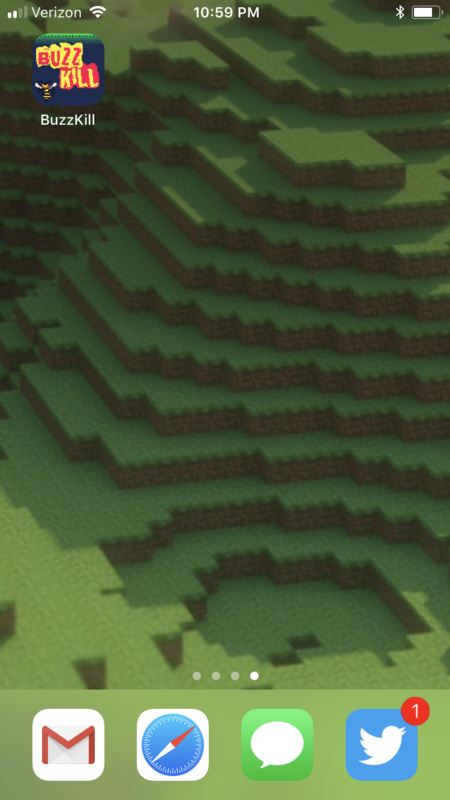 It's all very ugly right now but I'm just testing to see how much of it works and how well. On my iPhone 6 with Safari, the game loads and plays just fine with controls but there is no sound. I've had a few others report the same for iPhone and one report that Android doesn't work at all. Please post with your findings. 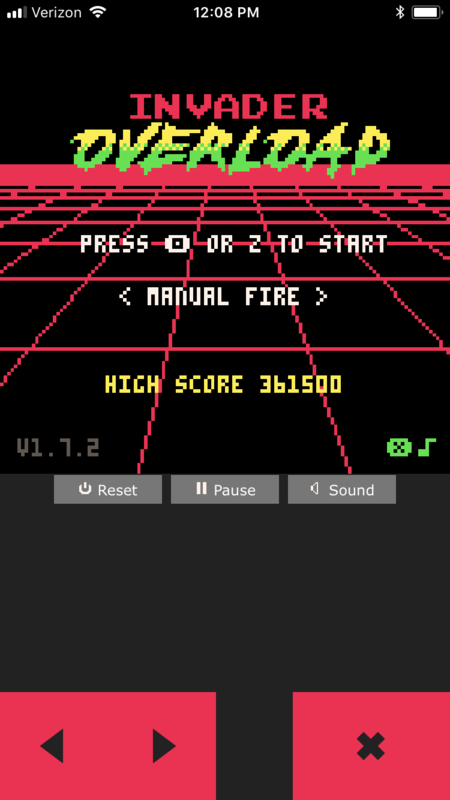 This feels like the closest I've seen to having Pico-8 be viable on a phone without needing to port things over to an actual app of some sort. limit (8192) will be reached first. Given you can upload carts to the BBS by pasting in code, and exporting to HTML is also a separate process...you can ignore/avoid the compression limit entirely unless you want to pass around the PNG cartridge. Here I spent a ton of time getting my game under that compress limit when I didn't need to. I was within token/character limits just fine. Arg! Well...lesson learned...and maybe this call out can help someone else avoid the headache. Dylan Burke is finishing the job his father failed to complete on LV-426. He must be stopped. Explore planets and collect 12 alien eggs before Burke can get to them. Player manual. Complete with hints and tips! This game has been a long time coming. I started it back in June and worked on it for about a month. Then I hit a wall and got distracted by other stuff...it sat on the shelf. I came back to it after a couple months and finally finished it up. Very happy I did. The idea got seeded when I read an article in Retro Gamer about the Sega SG-1000 and the game "Girl's Garden". In it you're a girl that has to collect flowers while avoiding bears to keep her boyfriend happy. Somehow that got me thinking about applying that model to an Aliens motif...and I had just so happened to find a spritesheet rip of Rebelstar from the ZX Spectrum that had alien characters in it. I took those and started designing around that. Prior to this, most of my Pico-8 games have been arcade shooters, so making a maze/map game was new to me (especially one with a story). It was nice to try something different and I learned a lot. I'm not sure I'll try to make another one...while rewarding, this experience was exhausting. I'll just have to spread out my efforts when it comes to this genre. What I think made the most difference with this game was that I came back to it after some time away. It felt good coming back to something that was a) half done and b) still familiar enough code to dive back into without a lot of re-learning. Plus I could look at it with fresh eyes to determine if it was worth finishing. It held up well and I was motivated to get it done. But man...the last 10% of development is killer. For one, I hadn't quite figured out the last act and then when I did, Pico-8 compression limits came around and tried to crush my dreams. To combat that, I simply started over...kinda. I opened a blank cart and copied over code chunks one-by-one, inspecting and refactoring each one as I went. I had to trim some design fat but in the end that had little impact on the gameplay and that's what matters. All that effort paid off and I got in under the limits with a solid game. Since this game has an actual ending, I kept playing and I kept failing to win. Usually that's a sign of the balance being off but this time it was just a good solid challenge. By design or by luck, the game trade-offs worked out wonderfully. The game isn't easy but not too difficult. It never feels overly unfair and has some wonderful emotional impact as well. Even with insider knowledge, it took me quite a while to win but only after plenty of "just one more time" moments. Thanks to everyone that helped along the way, whether on Twitter on here in the forum...all of it made a difference. Please report any crashes you experience. If you have any questions about how this game was made or what was used, please don't hesitate to ask. Labeling controls in-game, letters or icons? I think some variant of this has been discussed before but if I recall it turned into a debate about the lack of being able to customize the keyboard controls in Pico-8. I'm interested in hearing thoughts on whether you think it's a better "standard" to label controls in your game as the letter - like Z, X - or to label them as the special characters (X),(O). While I personally prefer the aesthetics of the icons, I do know it is difficult to know which button is which on your gamepad when doing that. I used the icons on the game I'm making now and when had people play, confusion followed, so I changed it to letters. Plus, after some very limited polling on Twitter, most play Pico-8 games with their keyboard...so that tells me that labeling controls with keyboard letters is more helpful across the board. Thought being if you want to use a gamepad you'll a) figure it out, or b) can map things accordingly. Gamepad=Power user, of sorts. Hmmm...I might have just answered my own question...helps to say it out loud, I guess. But I'd still be interested in hearing thoughts/experiences. I'm using stat(1) to see what type of CPU usage my game is using and in certain spots it's a lot, sometimes hitting 100% and causing some serious jitters. When that started happening, I went back through my code and did some refactoring of things...removing dupe code, nesting conditions, removing methods, limiting loops per tick...and that helped. I'm not so dumb as to not realize that bloated code will impact CPU usage, but what else increases that usage? Maybe that's a big question...I dunno, I'm looking for a somewhat high level answer, I guess. Just general "things to pay attention to" kind of stuff. I'm not using any fancy techniques like poke/peek or memory storage or anything like that. Very straight forward coding. I don't feel like my game(s) are very complex or doing a whole lot, which tells me I'm probably missing something in managing overhead. Do nested function impact performance? I've been rebuilding/refactoring a recent game in efforts to reduce clutter and increase performance, as well as get under the dreaded compression limit. For whatever reason, I've started to nest functions...mostly as a way to better organize code. This works just fine but I'm wondering if there's any real downside to it? New York City is being overrun by ghosts! Who you gonna call? Take control of your favorite Ghostbuster and try to stop the onslaught of Slimers through 5 frantic levels of arcade action. Choose from Abby, Erin, Patty and Holtzmann. And if you're good enough, you might just unlock a few of your old Ghostbuster friends too. Good luck! Stop the Slimers from reaching the city. Use your proton beam to bust ghosts and destroy the mirror portals. Your slime meter will fill as ghosts get by you. If your slime meter gets full, it's game over. And watch out...you don't want your proton pack to overheat! You have unlimitd traps but can only throw one trap at a time, so manage your need wisely. And keep an eye out for the Stay Puft marshmallow man...it means the city is almost filled with slime. My 5-year-old daughter loves Ghostbusters and while she's not really into video games just yet, I decided to make her a Ghostbusters game to maybe nudge her along a little bit. She's seen all the movies but likes the new Ghostbusters the most, so this game features the lady Ghostbusters...but don't worry, you can unlock Peter and the gang...just keep bustin'! All in all, it's a simple game...basically Tapper with Ghostbusters. It's not that difficult but I pretty much made with my kid in mind. It'll be a tough challenge for her but for us "experienced" gamers it'll be a fun but brief playthrough. Feedback and bug reports are welcome and encouraged. Thanks to everyone that helped in development. Brian Follick for turning the Ghostbusters theme into a Pico-8 track. @BeetleInTheBox for the extra graphics in short notice. And the great Pico-8 community for the support, snippets and encouragement to actually finish a game...thanks! I'm not surprised that I'm hitting the "out of memory" error when I put a big table of coordinates into the global scope...I'm figuring out how to deal with that right now. My question is why does it take up so much memory in the first place? I created a table with indexes for x/y coordinates, which in turn correspond to objects in the game. My map is made up of 16x16 tiles, so 8 per screen. When I have a 7x7 map, that's 3136 slots in the table containing tile information. That's a lot, I know. Each table element has attributes for the tile. When there are 8 attributes in the object, Pico8 shows memory at 70% - adding just one more key-value pair takes me over the limit. How does adding a single pair take up 30% more memory? o=0, -- This pair puts me out of memory. Remove it and we're under. I know that memory is used up by everything so the 70% I'm seeing is not just the array, but it's certainly a big chunk of it. Even after stripping out everything except the array, it's still at 59%. I'm not good with memory sizes or the math that goes into it or what uses up memory and how. I'm pretty sure I'm just going to have to accept that my game will have to have smaller maps, which is fine, but more so just for my own education, I'm wondering why this happens. I'm doing this a lot through my games in loops and I feel like there should be a shorthand for it...?